It’s another milestone for me. Today, on NuAngel.net, I get to interview a legend. Activision’s own OneOfSwords! That’s right, it’s Dan Amrich, former Editor in Chief of World of Warcraft Magazine, Senior Editor for Official Xbox Magazine, and GamePro’s Dan Elektro & Bad Hare. This is a big deal for me because I can remember being a teenager in the late 90’s and reading Dan’s work in GamePro – then hearing him for the first time on the Official Xbox Magazine Podcast and following him on to his current project as OneOfSwords. You may have known him as a ‘writer’ but he’s officially the author of his second book, read on for the details of his brand new publication! NuAngel: What’s your Gamertag, and what’s the story behind it? Back on WinBreak.com, there was a short lived “STAR LIGHT” series of interviews. The goal was to interview people who were influential in the games industry, famous in some form or another. For all intents and purposes, it was almost identical to the Better Know a Gamer series of articles. The Star Light series had a few questions that were targetted toward these special interviews, but were otherwise the same thing as BKAG. Therefore, I’m doing away with Star Light in the interest of growing Better Know a Gamer into a longer running series. And tomorrow, the series gets its 34th installment, its first here on NuAngel.net. And what a special occasion it is. 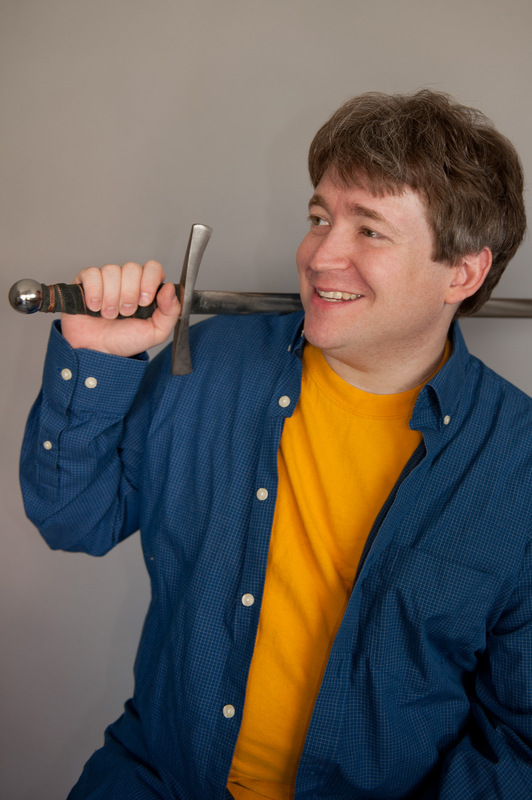 I will be interviewing Dan Amrich, Activisions OneOfSwords. Stay tuned, it’s only a few hours away! Moving on down the line, it’s the latest issue of Better Know a Gamer! Nominating themselves and their friends, people have continued to fill the inbox with requests to be featured on the long running Better Know a Gamer! My Gamertag is Fujiwarano. It does not have any real story behind it. I picked it up from a anime series called “Hikaru No Go” if you like anime, you really should check it out! I’m 20 years old and I’m from the Netherlands. Not 100% sure about that. I remembered playing Duck Hunt on the old NES, (yes I played that one as well, CALZ88)! But I think I have been gaming for over 15 years. Nu: And here’s hoping for at least 15 more! How long have you been a 360 owner? Getting out of the sewers in the Elders scrolls IV Oblivion. Nu: Understandable! What game(s) are you playing the most now? Battlefield 1943, Fable 2, and some Arcade games. Nu: A true fan of game music Do you try to stick with one Gamerpic, or change it frequently? Nah, never really change it. Unless I’m really bored. Gamespot.com, IGN.com, xbox.com, Majornelson.com. And a bunch of other gaming websites not related to Xbox. Nu: What game are you looking most forward to in 2009/2010? Nu: I’m a little sad because I’m expecting Alan Wake to suffer the same fate as Clive Barker’s Jericho and Alone in the Dark. A lot of hype, but the launch might just fail. Wait and see, I guess. Do you have an all time favorite game, for any console or the PC? There are many great games out there. It is really hard to just name one game. I like Chrono Trigger very much for the Super nintendo Entertainment system. And Secret of Mana. I don’t have any game buddys to be honest. Not in real life and not on the internet. Would you like to add me? Please send me a message of who you are please! I do not accept random friend request invites. Help out War Child!. Dontate so you can help those childeren to make life fun again, and make them smile:) http://www.warchild.org.